Temperature rise is causing all sorts of havoc from more forest fires, to shortages of livestock food. In the world of aviation climate change is going to mean an awful lot more turbulence. At the moment severe turbulence is fairly rare. British Airways pilot Steve Allright is quoted as saying “In a flying career of over 10,000 hours, I have experienced severe turbulence for about 5 minutes in total”, also mentioning “It is extremely uncomfortable but not dangerous”. 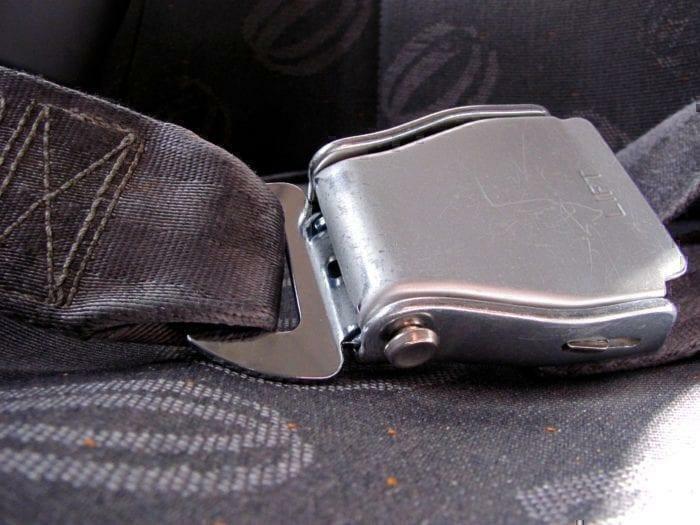 The seatbelt sign could be on for 2-3 times longer during flights by 2050. 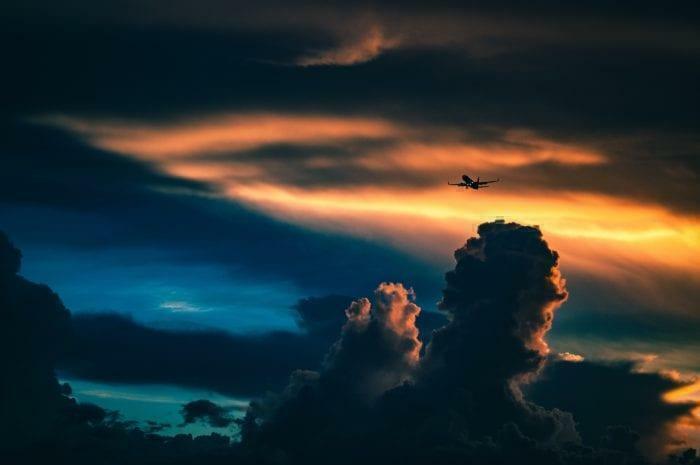 Research carried out by the University of Reading explicitly shows that in flight turbulence is set to get much worse. Between 2050-2080 it could have increased by as much as 181% at 39,000 feet. The worst hit is set to be over the North Atlantic, while in contrast Africa will only see a 51% increase. North America and Europe will also see significant rises of 113% and 161% respectively. The rise in clear air turbulence is primarily down to wind sheer. Different temperatures in the atmosphere cause differences in air pressure. In turn these differences in air pressure cause wind. When the wind suddenly changes direction, it is called wind sheer. While wind sheer isn’t particularly bad at higher altitudes, it can be dangerous at low altitudes during take off and landing. This is especially true for smaller, propeller driven aircraft. Why Is Turbulence A Problem? Turbulence is primarily a problem due to the discomfort is causes passengers. Where you choose your seat could help you avoid the worst of the discomfort. The worst case scenario when flying through these pockets of air is passenger injury. Clear air turbulence is invisible. This means that the pilot often doesn’t know to put the seatbelt sign on until it’s too late. Injuries caused like this cost US air carriers $200 million annually. Some of the worst cases include broken bones, with a Ryanair stewardess becoming an example in January 2017. The pilot encountered wind sheer which sped the aircraft up considerably. The resulting manoeuvre threw the member of crew to the ground breaking her ankle. Injuries from turbulence cost US airlines $200m each year. Boeing is currently in the process of trialling a new laser system to help detect clear air turbulence ahead. Able to detect changes in the air up to ten miles away, the system aims to help reduce injuries. With aircraft travelling at around 550mph, pilots would have 60 seconds to respond, enough time to tell passengers to fasten their seatbelts. In addition many of the aircraft which will be flying in 2050, when the problem is set to get much worse, haven’t been built yet. This gives aircraft manufacturers a valuable opportunity to overcome the issue. New technology and aircraft designs can be tested and implemented to try to dampen the consequences of future climate change. In fact, several parties are looking at manufacturing supersonic aircraft which are able to fly up to 60,000ft, and altitude where the effects of turbulence are much less. 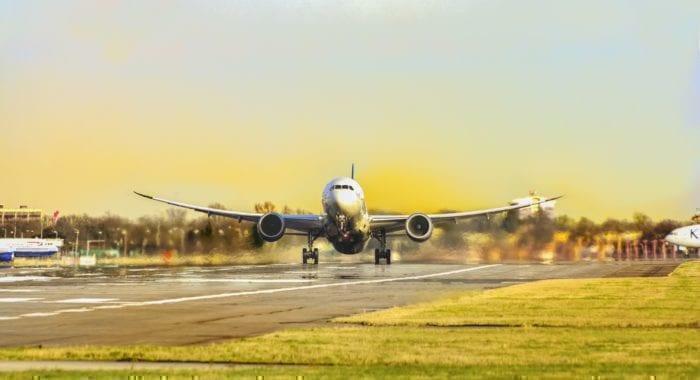 Planes struggle to generate lift when temperatures rise. What Other Problems Does Climate Change Pose? One of the things most affected by rising temperatures is aircraft lift. When the air is warmer, it becomes much thinner. This in turn means that less lift is generated by the wings. It also means that the engine thinks it is flying at an altitude higher than it is. This principle is called Density Altitude, and it is highlighted as one of the most important concepts to student pilots learning in prats of the world that get particularly warm, such as California. In summer 2017, several airlines were forced to cancel flights to and from Phoenix after the temperatures peaked at 48℃. The temperatures, which were hot enough to melt street signs, were outside the operating limits of Bombardier’s CRJs as well as some Embraer jets. This led to operators such as American Airlines asking for both manufacturers to increase the operating limits. With temperatures set to continue rising, who knows when they’ll need to revisit operating limitations again?